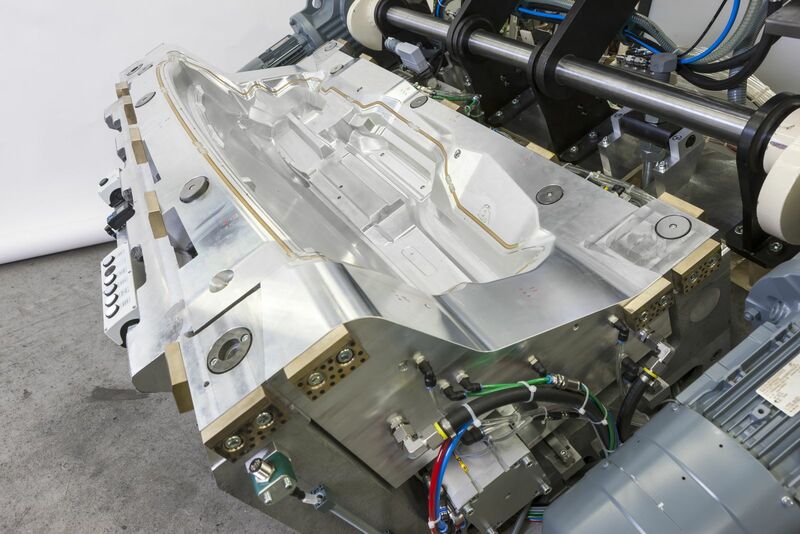 The Institute of Plastics Processing (IKV) in Industry and the Skilled Crafts at RWTH Aachen University is cooperating with the Fraunhofer Institute for Manufacturing Technology and Advanced Materials (IFAM) to research the use of plasma polymer mould coatings for the release agent-free production of polyurethane parts. According to the IKV, in PU processing the use of release agents has become well-established in the industry and the disadvantages associated with their use are generally regarded as unavoidable. These disadvantages range from the strict occupational safety regulations and longer cycle times to the need for regular mould cleaning to remove release agent residues. The logical consequence is that working without release agents offers plenty of optimisation potential, said the IKV. An alternative to conventional release agents are permanent plasma-polymer mould cavity coatings, which the IFAM developed jointly with IKV in two previous projects. Their effectiveness in the demoulding of PU parts has already been proven. For this reason, the current project will focus on a detailed study of the interaction of different PU material systems with plasma-polymer mould coatings. Apart from that, the research team will examine the stability of the mould coatings in the production tool. In addition to the substitution of traditional release agents, the new technology also has other advantages in processing. Firstly, it allows the moulding of finer surface textures because the mould structures can no longer become clogged with release agent. Secondly, there is no need to clean the moulded parts before secondary finishing steps such as surface coating. To conclude the studies, an appraisal is to be compiled of the usability of plasma polymer mould coatings in near-reality production scenarios for various PU mouldings. The economic efficiency of different scenarios will also be evaluated.